When The Boys started playing, I was thinking – why does this look like something Lady Gaga would do? And then I realised – oh yeah, this is supposed to play to the American audience. Thankfully, those embarrassing rose petal scenes get more tolerable as they roll along. SNSD (aka Girls’ Generation)’s “comeback” music video is unlike anything you’ve ever seen from them, but it won’t take long for you to adjust to their new-found style. Our girls are dishing out a hard-edged and fierce attitude, complete with lots of killer stares. The sharp and confident dance moves here are obviously tailored towards the American market, and although the concept works, I do hope SNSD goes back to their Gee/Oh! cuteness someday. I can’t speak for everyone, but Yoona and TaeYeon are the ones who stand out in this music video (aren’t they always?). Jessica and Tiffany fans have much to look at, including a few electrifying moves. Perhaps newcomers will remember Sunny and her huge red hood because she’s the only one with short hair. The weakest link is probably youngest member SeoHyun, who looks a little different in this music video and has a line which made me cringe. One thing which strikes me is the abundance of costume changes. As if it’s not difficult enough to tell these “nine angels” apart, now every one of them has various outfits each. Not that it’s a bad thing, but keep in mind that this is the first SNSD encounter for a whole lot of people. I certainly had a hard (impossible) time identifying individual members when I first starting watching SNSD, so I cannot imagine the headache that people are going to have while trying to differentiate the girls in this music video. Another thing that bothers me is the song’s reliance on voice manipulation, especially with the hook “bring the boys out”. I’m sure lots of people enjoy singing along to their favourite K-pop tracks, but all the bells and whistles in this song might make it a little weird to do so. 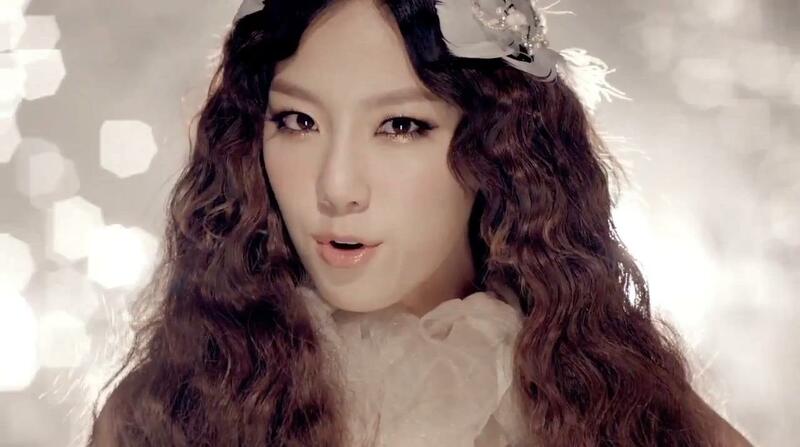 Furthermore, I am still not convinced that the auto-tune gimmick goes well with SNSD. To be fair, the electronica vibe works far better this time round than in their previous tracks Mr. Taxi and Bad Girl. In the end, you cannot ignore the fact that SNSD has already become a prevalent piece of Korean pop culture, and will soon be recognised on a global scale. The hype is a tough obstacle to overcome, but SNSD’s genuinity and sharp new direction will satisfy the long-time fans as well as rope in new ones. The Boys gets a well-deserved thumbs up from me. I notice anything Korean is so popular nowadays, has even overtaken Japanese culture obssession, When I was in the Philippines last year for vacation, there were at least 5 Korean channels on cable. And my friends knew all the popular Korean idols. I think the recent Korean media has been very friendly and “clean”, so that’s why a lot of people love it. Japanese stuff is often built for a specific fanbase, at least from what I observe. I love the video! The song took some time to get used to but I can now listen to it without watching the mv. The English version is not impressive though. O_O! The lyrics aren’t good. They remind of Asian Bratz dolls! Still, it’s a good look. Nice review!! I do have issues with the song (such as the chorus), but i do just love this music video . It shows off a feminine power, and stresses individuality more than any other Girl’s Generation music video. Thanks!! Glad you love this music video too! verry nice, specially seohyun unnnie!! If you have never watched the drama ‘Prime Minister and I’, may Suho EXO appearance in an upcoming episode makes you want to watch the drama. Suho will appear as a special cameo on an episode of January 13, OSEN reported earlier today. He will act as the first love of Nara, played by Jeon Min Seo. first time in the drama.